A furler is the ideal system to set and strike light sails. In a race utilizing multiple furlers for various sails, Karver offers the advantage of roller furling without the weight and windage of a conventional roller reefing systems. K.F. Furlers optimize sail handling with minimal weight aloft. Karver is an industry leader in this concept offering a complete range of superior products for all sailors. K.F. Furlers have a notch on the spool allowing fitting or removal of the loop line with out removing the line cover or dismounting the system. Eliminates the need to remove the cover and avoids the risk of loosing small parts (screws, pins…). 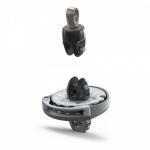 Keeps the mechanism closer to the deck by avoiding the necessary displacement required for removable covers. The loop line is simply and quickly engaged or removed from the spool through the notch. Increases available luff length by minimizing the height of the spool and tack fitting. Sailing yachts from 10 to 30".. This furler is dedicated to the smallest sailboats and to all sailo.. Suitable for boats 20-35' - SWL = 1.5 TonsSAFETY FEATURESDrum locking mechanismcontrol&n.. Suitable for boats 30-45' - SWL = 2.5 TonsSAFETY FEATURESDrum locking mechanism control&.. 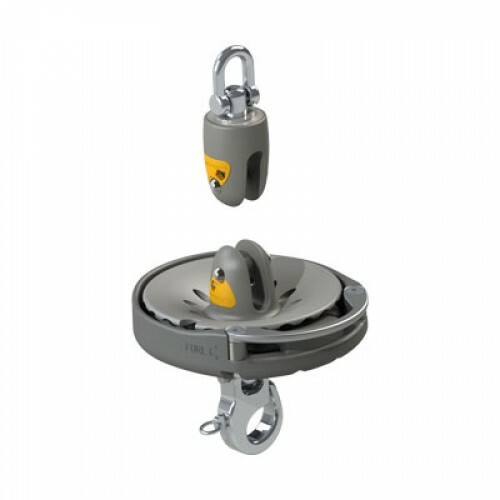 Suitable for boats 40-55' - SWL = 5 TonsSAFETY FEATURESDrum locking mechanism control&nb.. Suitable for boats 50-75' - SWL = 8 TonsSAFETY FEATURESDrum locking mechanism control&nb..